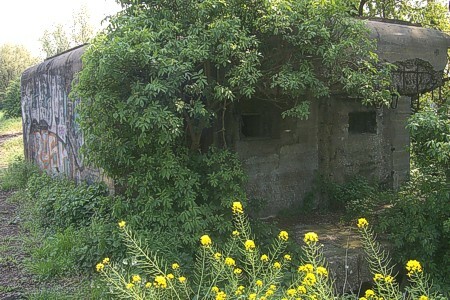 The former Dutch Mg/Pak-casemate here shown from the side of the railroadbridge. This was the original enemy side. This shows the original Dutch entrance side. The right German Scharte was once the Dutch entrance. 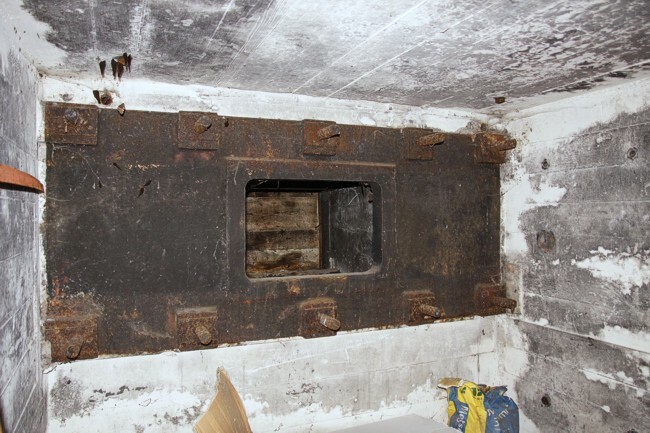 The steel hatch left, was for transportation of the Dutch Pakgun 5L50. 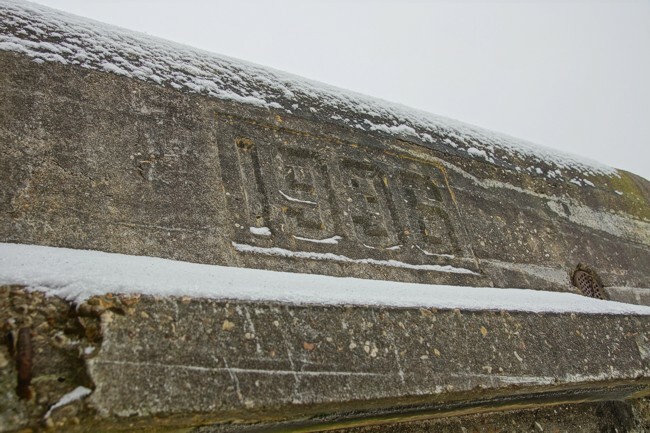 The same spot taken many years ago. 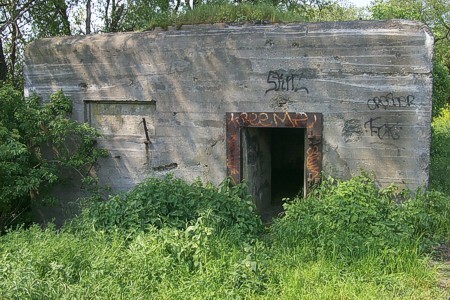 This bunker has two levels. 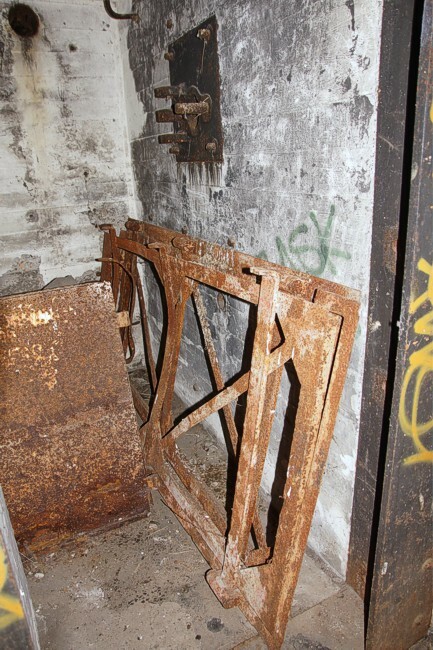 The lower level was used for ammunitionstorage. 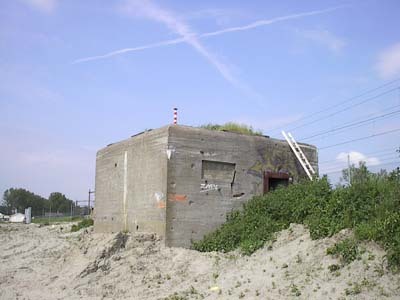 The German entrance is where the Dutch Mg once stood. The Dutch Pak opening (left) was closed with German concrete. This is the original Dutch plate for the Pak gun. 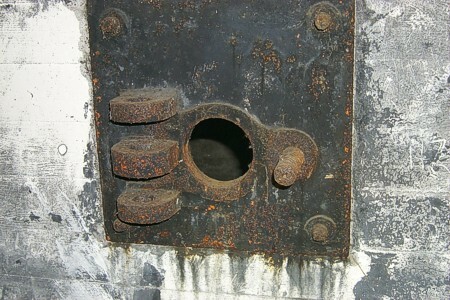 The Dutch entrance defence plate. 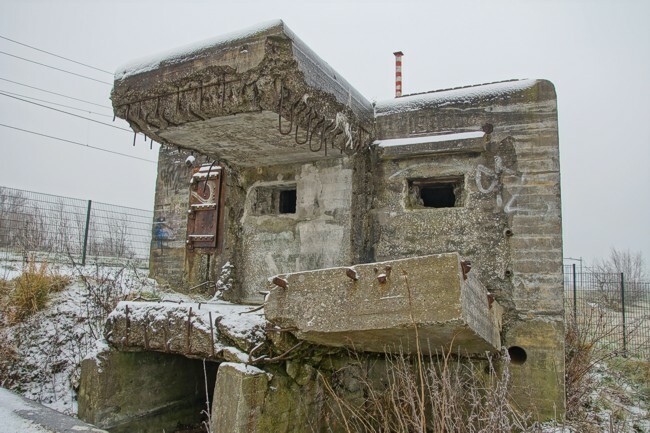 What puzzles us most, is the question why the Germans turned over the enemy side of this bunker. Did they expect an attack from the north, along the railroad, or was it used for signalling? This is 2017. It looks as if a restoration is in progress. 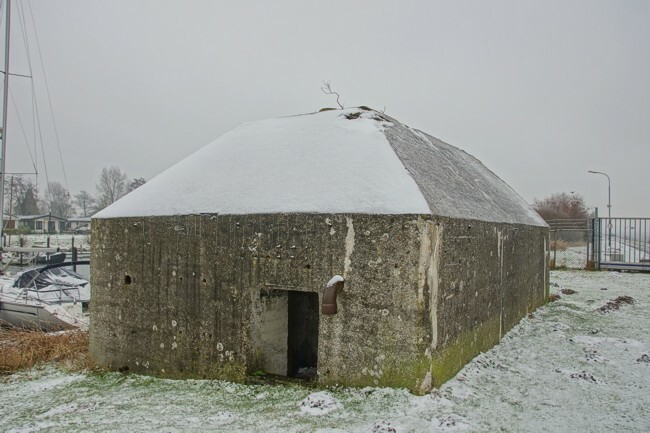 At the entrance of the marina lies a Dutch shelter for personnel, a "pyramid".